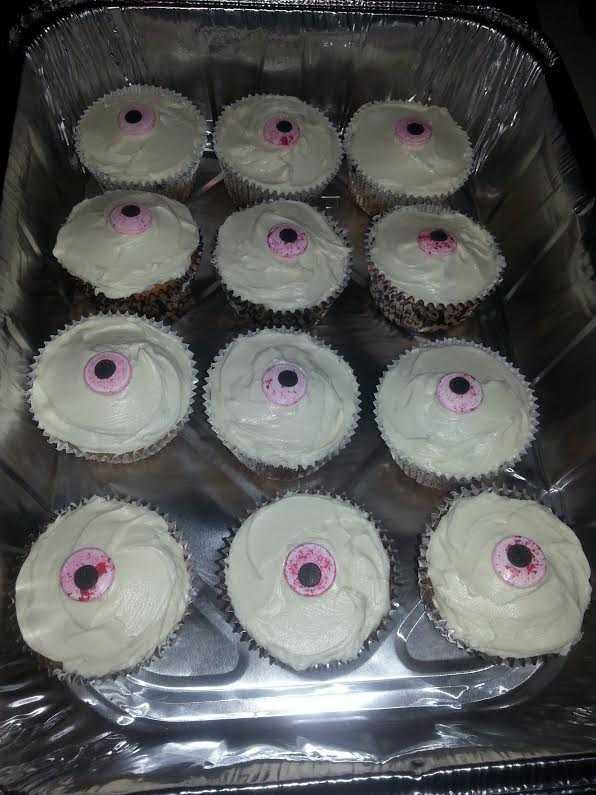 I don’t know about you guys, but I freaking love festive baking. 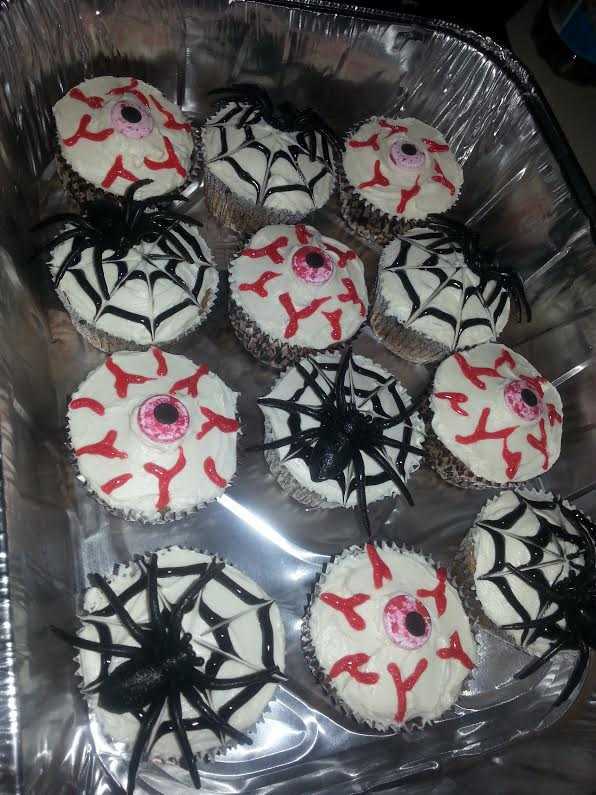 I think I’ve spoiled all my employees too because now every holiday I’m expected to do this. 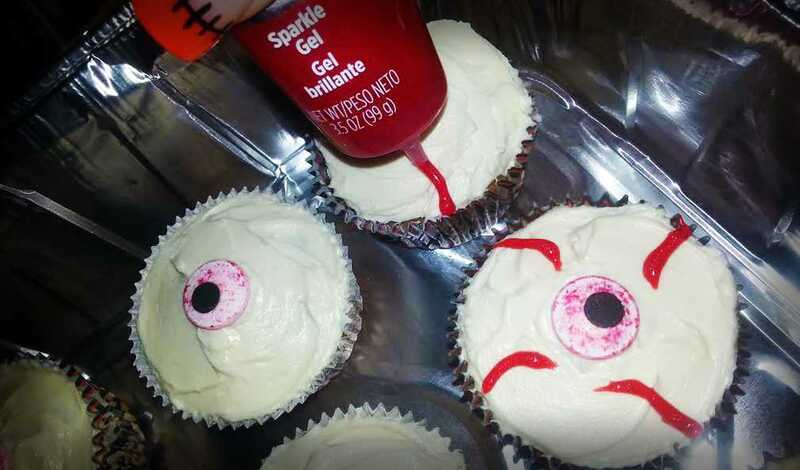 I might as well have some fun with it, so keep reading if you want to learn how to make two different super simple, yet adorable, Halloween cupcakes! 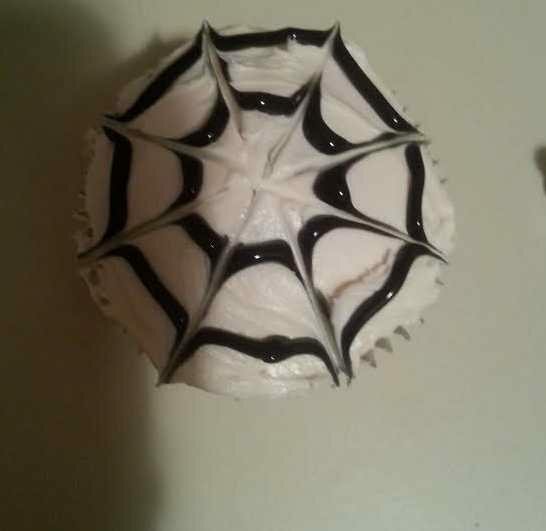 To make the spider web all you need to do is ice the cupcake like normal and add two black circles, one inside of the other. Take a toothpick and from the center drag from the inside out in four lines. Now, it’s totally up to you whether or not to add the plastic spiders. I like to add them for their visual effect. 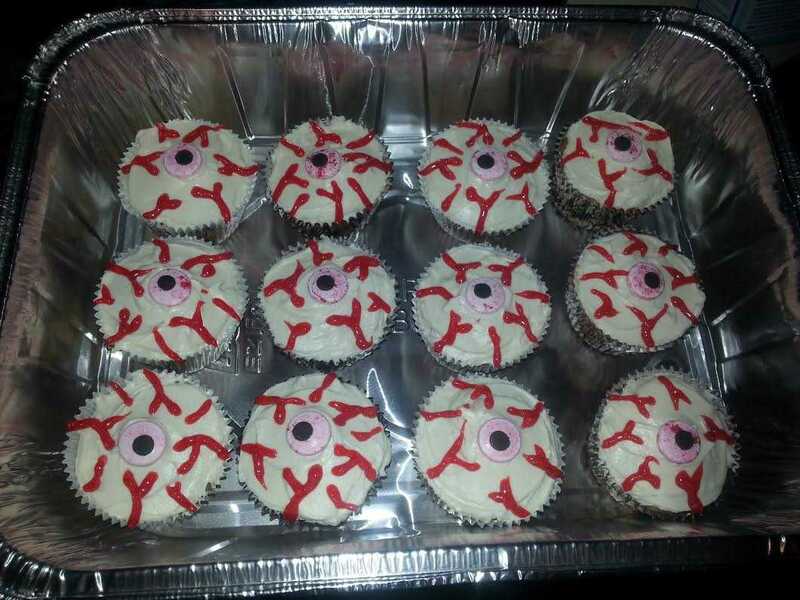 To make the eyeballs, you’re still starting out baking the cupcake flavor of your choice and icing like normal. 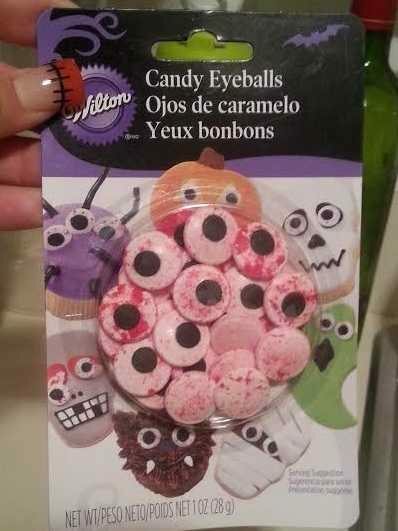 I had found these eye candies in my local Michaels store. 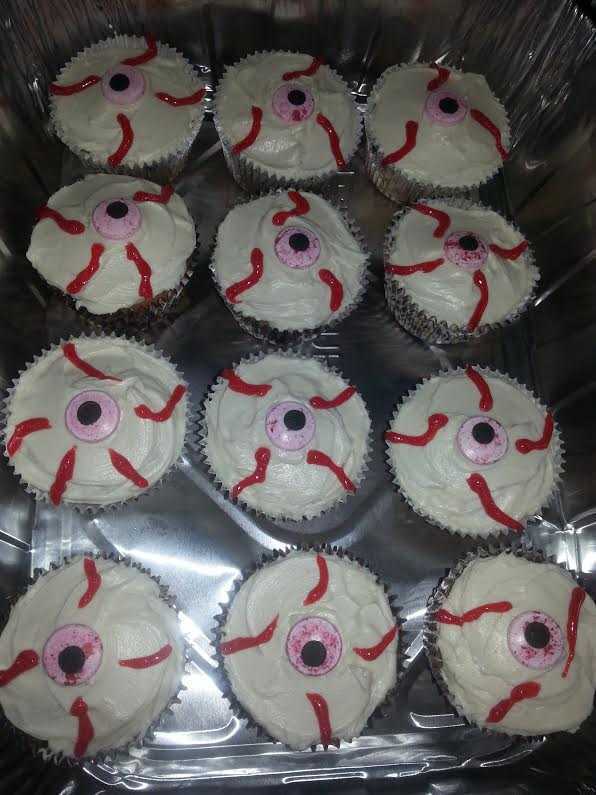 They actually had a lot of really cute baking decorations this year, so naturally I cant wait to see what’s in store next year! 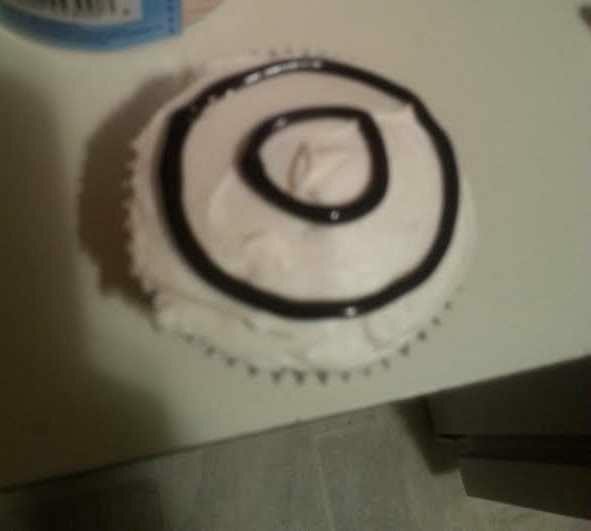 When icing my cupcakes for this decoration, I add a little more icing in the middle to keep the eye in place. Take your red gel and make little lines going towards the eye, as veins. After your lines are in place you can add the little detail of more veins branching off. 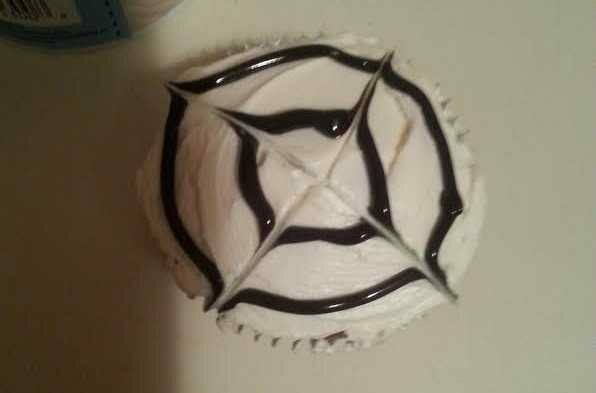 Now your cupcakes are complete! You can plate them together by decor or mix & match them however you feel! Gearing up for Halloween I’ll also have a tutorial for creative Halloween pumpkins! What would you like to see in future holiday-themed posts!? In this edition of Freebie Friday we’ll be taking a look at 10 free tutorial websites to learn art. Each of the sites in this article provide free tutorials or courses in various mediums for different art forms including coding, graphics and illustration, photography, WordPress, drawing, DIY, and much more. Juelz is an artist that specializes in traditional arts such as drawing and painting while gathering her inspiration from life’s occurrence. 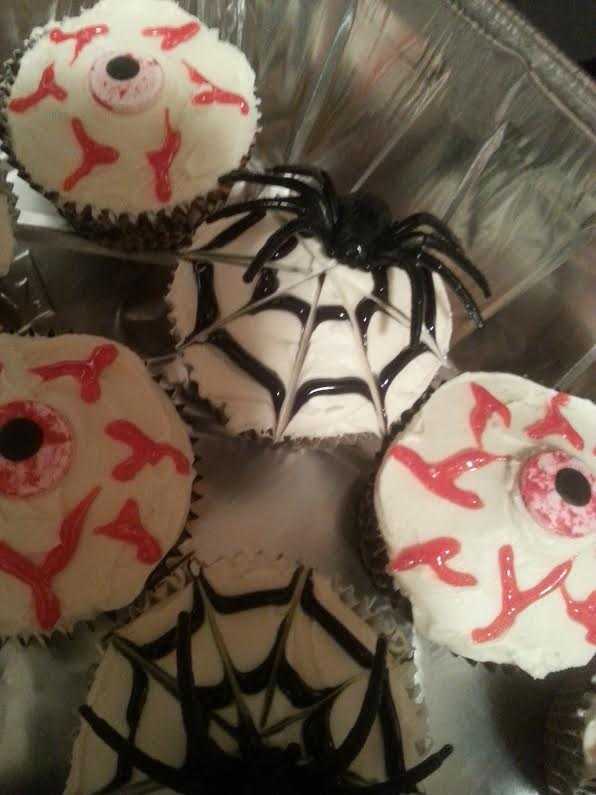 Juelz also loves to perfect bakery confections and hopes to bring the feeling of art others.